The world of Audio Discotech revolves around sound, and it is a danceclub that was created by sound fanatics. 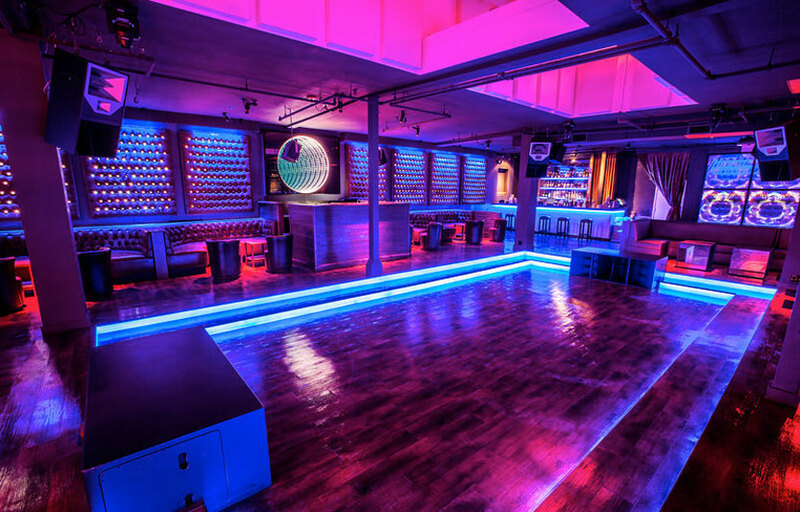 The layout of the nightclub, placement of the speakers, design of the 7 layered dance floor, and the Funktion One sound system were carefully crafted to create a revolutionary auditory experience. Combining retro décor with cutting edge music, Audio never sports a dress code and is an intimate venue to hear world class DJ’s without the pretension. With great sound comes great dancing, and our Nightclub was designed with a centrally located, spring loaded dance floor that keeps the faithful on their feet. The 1600 LED wall is custom programmed to visualize the music, and the thousands of square feet of tufted panels, drapes and acoustic paneling on the ceiling, absorb sound reverberation to create crystal clear mids and high, and punchy base. The result is a night club where the center of the dance floor sounds like a recording studio… just much louder. The two fully loaded brass-and-mirror cocktail bars surround each side of the dance floor, making it always easy to get a drink. Our innovative custom lighting incorporates thousands of LEDs, every single one of which can change into any color. 3D video projection, dancers, and disco balls round out the experience. Audio is a mecca for amazing DJ talent, focusing on underground house, techno and nu-disco. 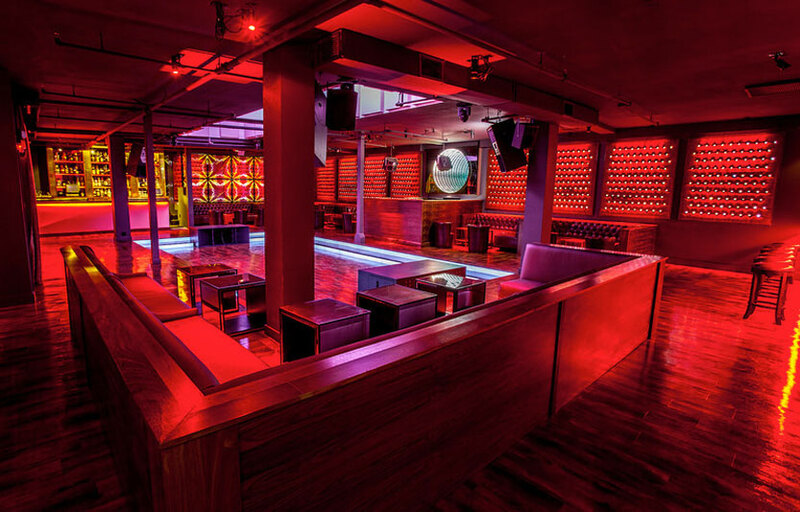 Audio Discotech is a intimate venue that primarily plays underground electronic music – techno, deep house, funky stuff. Start your night at Bergerac – the bar downstairs – before heading up to Audio for dancing. 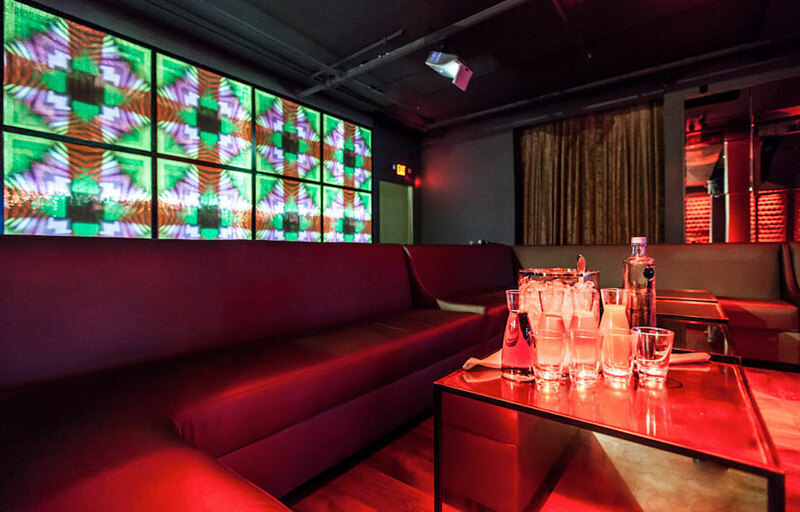 Audio has a great sound system and caters more to music lovers – don’t come here if you’re looking for a “Vegas club” atmosphere. Where is Audio SF located? Audio SF is located in Soma on 11th and Folsom. How much is cover charge at Audio SF? General admission usually ranges from $20-30 depending on who’s spinning. How long will I have to wait at Audio SF? When is Audio SF open? Audio SF is open from 10 PM – 2 AM on Fridays and Saturdays. What are the best nights to go to Audio SF? What is the dress code at Audio SF? The website says “no dress code” but I’ve definitely experienced otherwise. To be safe, I’d recommend collared shirt / jeans / dress shoes for guys. You can usually get away with dressing down a bit at Audio SF – I’ve been there in a V neck and sneakers before, but it really depends on the night. If it’s a really busy night they’ll look for any reason to not let you in. Definitely avoid anything that can be considered sportswear (track jackets, jerseys, sneakers, hats, etc). Is there parking near Audio SF? There is a lot of street parking in the area, but make sure to check the signs for street sweeping. How much do drinks cost at Audio SF? Mixed drinks and shots are roughly $12 apiece, beers $10. Bottles start at $250. Audio SF features primarily more underground / deep house / techno type music. Think Jeremy Olander, Moon Boots, Fehrplay, Guy Gerber, Gui Burrato, etc. What kind of music do they play at Audio SF? Audio SF is pretty much always some sort of deep house / techno type electronic music. Definitely not big room house / popular stuff – you’ll find that at Ruby Skye. Where can I find an list of upcoming events / DJs at Audio SF? You can download the Discotech app to see upcoming events, and book tables for Audio SF. You can also visit Audio SF’s homepage for a current list of events.